I love accessories, especially jewelry. Jewelry can help enhance a look, give it flair, or even totally change your outfit. Something so simple like a necklace can give your outfit a face lift, even if it's a subtle change. Simple pieces can give your look a direction. You can add edginess to a look by wearing spike bracelets or give your look an earthy look by wearing feather jewelry. Instead of buying a whole new wardrobe sometimes all you have to do is buy some jewelry. Even then you don't need to spend a fortune on some new pieces. Even digging through your old jewelry boxes you can uncover some pieces you forgot about, or try your mother's or grandmother's jewelry box to discover finds without a price tag on it. Flea markets are another the perfect place to find unique jewelry. Where do you guys buy your jewelry from? Do you have any pieces that you really love? I totally agree, its amazing how jewelry can transform an ensemble just like a shoe or a handbag. 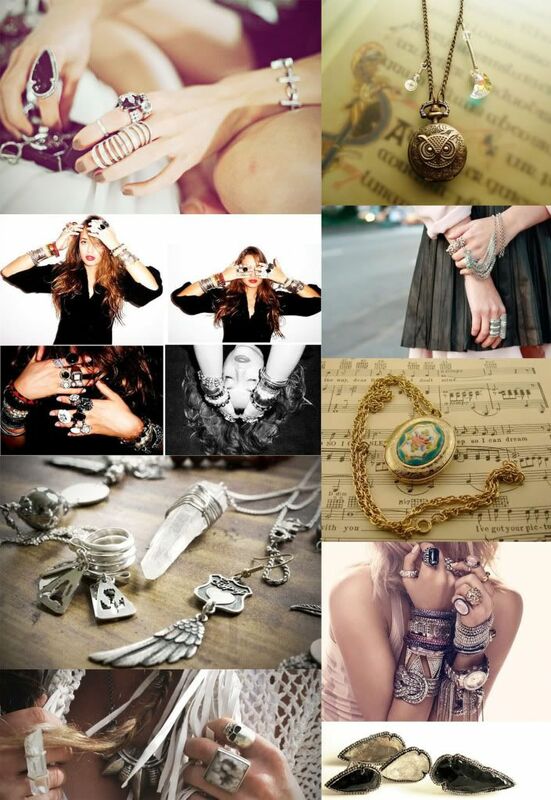 awesome photos.. Im currently obsessed with rings.. I just buy every one I see that fits, because that's my usual problem, they're always too big. I'm hopping to get my hands on a big snake ring I saw at Betsey Johnson.. I just need to find one my size. I like your blog, feel free to stop by mine, stay cool..
loving this! :) great pictures.